Nominees competing at July 10th awards ceremony named: Are you in the running? Respected iOS outfit Fireproof Games, developer of The Room, gets the most nominations – five – followed by four each for Dennaton Games (Hotline Miami), SCE’s London Studio (Wonderbook), Arkane Studios (the French team that co-developed Dishonored) and Playground Games (Forza Horizon). NaturalMotion and its studio Boss Alien studio claim four between them, also after the success of CSR Racing in 2012. There are also key nominations for free-to-play experts Supercell and its hit mobile game Clash of Clans. Our improved awards for Creative Contribution also acknowledge the work of external European art and audio teams on vast international projects like Halo 4 and Ni no Kuni. There are nominations for all kinds of businesses, from solo indie games developers to 100-plus strong teams, middleware providers, service outfits and outsourcing firms. 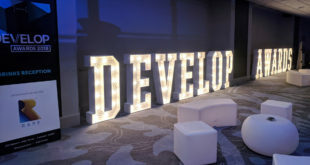 The Develop Awards take place on July 10th at the Brighton Metropole hotel. To book a place, contact Kathryn.Humphrey@intentmedia.co.uk or call 01992 535 646. For sponsorship and partner opportunities contact Alex.Boucher@intentmedia.co.uk or call 01992 535 647. 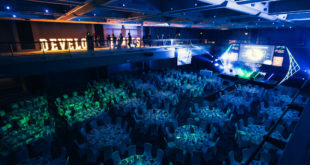 Current Develop Awards sponsors include Platinum Partners Crytek and Deep Silver, Gold Partners Testronic, Perforce, UKIE and Amiqus, Drinks Reception Partner NaturalMotion and Table Gift Partner OPM Jobs. The winner of this award is chosen by the Develop team and will be announced next month.